For the ancients, amulets were created for the initiates and adepts who knew the influences, impulses, instincts, decencies, fears and beliefs that separated them from their self realization. In order to transcend these limitations, the high craftsman would design and provide amulets comprised of various stones, herbs, metals, tones, symbols and intentions. The Amulet would be designed with regards to an auric & spiritual diagnosis and then worn to charge & fortify the body and aura that envelopes the human spirit. An amulet trickle charges the aura and helps the wearer move closer to the realizations needed to progress through their journey. It also reminds them of who they are, protecting and shielding them from external influences that would be encountered in this Great Work; the transcendence of egotistical, instinctual and mundane living, into a whole, sovereign and blissful way of being. Even as transcended beings, we must still walk the earth and live as stewards to cultivate the beauty of Earth. Though sovereignty may have been achieved within, a balance to maintain the bodies in a realm of constantly shifting currents is a daily task. 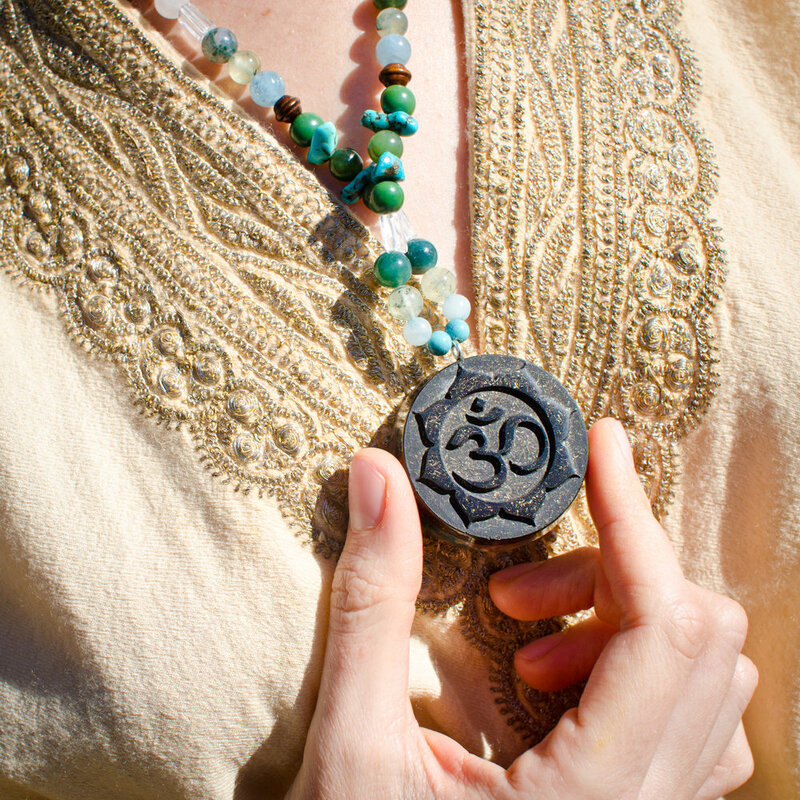 An amulet is a simple tool to assist us in maintaining our balance. Amulets hang from the neck and other parts of the body with the intention to ward off disruptions to one’s vibratory state & aura, to strengthen constitution or to acquire something. It is a manufactured object built with coherent configurations, imbued with subtle energies by its maker. These subtle energies are available to us through nature’s manifestations - her flora and fauna, the stones and metals, animals and mushrooms, the Kingdoms that have seeded themselves on Earth. Their are also kingdoms of invisible essences (gases, electric forces, spirits) in which the maker of an amulet can imbue into it. The beauty of the work shall be dictated by the craftsman’s overall intent to work with the highest good for all living beings in right relationship. This is not a craft of exploitation, it is the alchemical bonding of natural frequencies to create beauty and utility to serve humanity in their expansion. In this way, our work is the blossoming of complex relationships of natural materials and essences that create new qualities and characteristics. These are particularly useful to those practicing meditation, ceremonial or shamanic work, mental kung-fu, energy healing, need psychic and spiritual fortification or in conjuncture with natural medicines to heal physical ailments. The human body is a vessel to experience relationships in this world. It is the bridge for the spirit to experience a physical life and transcend its densities to gain wisdom. Parts of the body resonate or harmonize with various frequencies that are experienced as herbs, stones, tones, colors, forms, feelings, foods, energies. These resonances can be understood to heal and cure distortions and diseases in the body. To utilize external objects to heal, we can examine the frequencies that resonate with a particular area of the body. In this way, through repetitious use (new habits) the body will, like a tuned instrument, realign with the natural frequency that was present prior to the imbalance. As an example, to restore vibrancy to the third eye center, an amulet containing lapis lazuli, labradorite, acacia root, pine needle, purple color, and a Sri yantra symbol can be worn and meditated with to recalibrate the third eye center's glands, organs, bones, tissues, hormones. 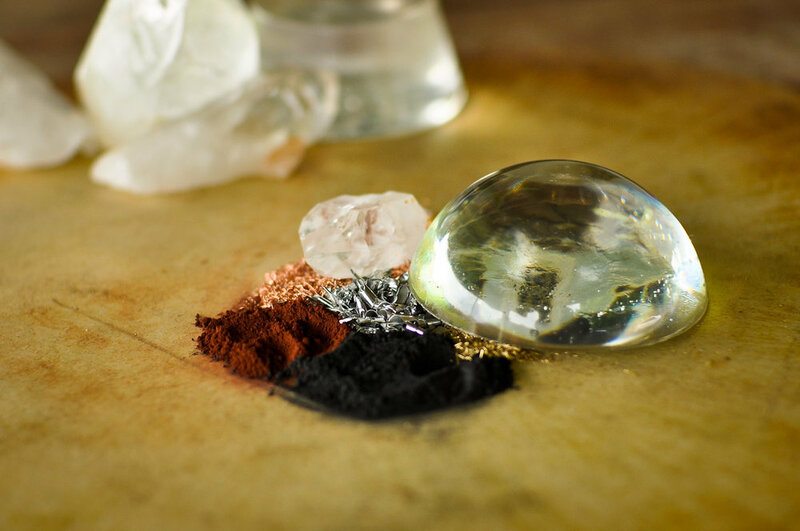 Embedded in a Crystalis Amulet is a matrix of natural materials that work synergestically to output healthy bioenergy that is beneficial & healing to all life forms. It neutralizes distorted fields of man-made electromagnetic radiation, bringing coherency to chaos, easily stabilizing the energy fields of the body. 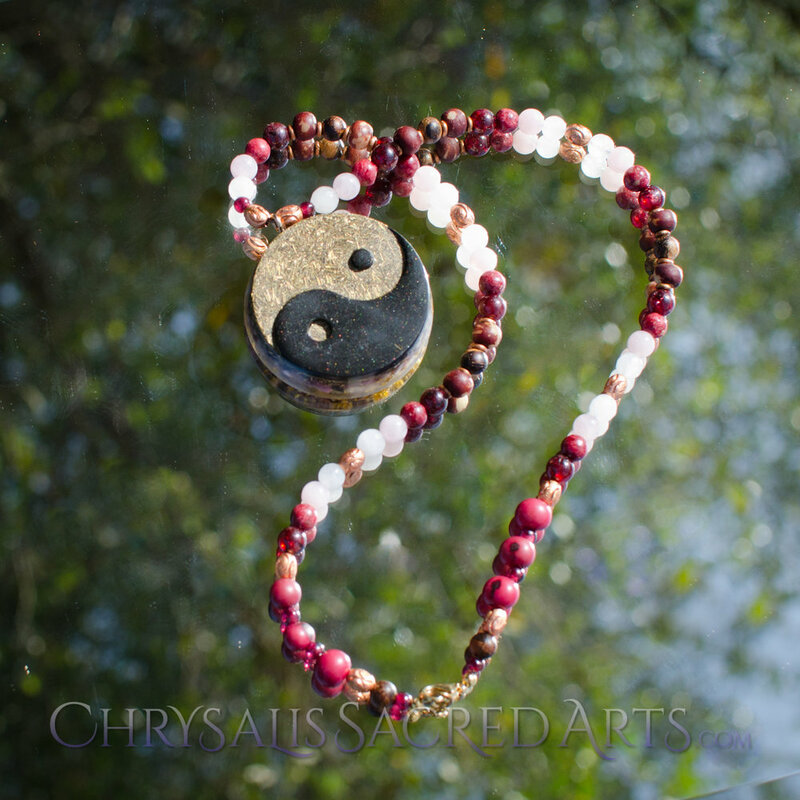 Crystalis Amulets are conscious & intuitive creations utilizing medical astrology, yantra meditation, synergy gridding, orgone technology, sacred geometries & ceremonial celebration to birth a unique collective consciousness. These techniques are documented for their benefits in healing, energizing & structuring water, enhancing plant growth, affecting brain wave states and connectivity to the spiritual nature of man. It is an energetic & hygienic tool for the initiate of self realization & spiritual development, assembled to experience higher vibratory states of being. All in good time, sure as the seeker is earnest & intentions are pure, the true nature of our being will be illuminated. Nobody who is honest in realizing their highest self is kept from it. Wisdom of the Truth will be born in each of us as we provide the suitable conditions within! 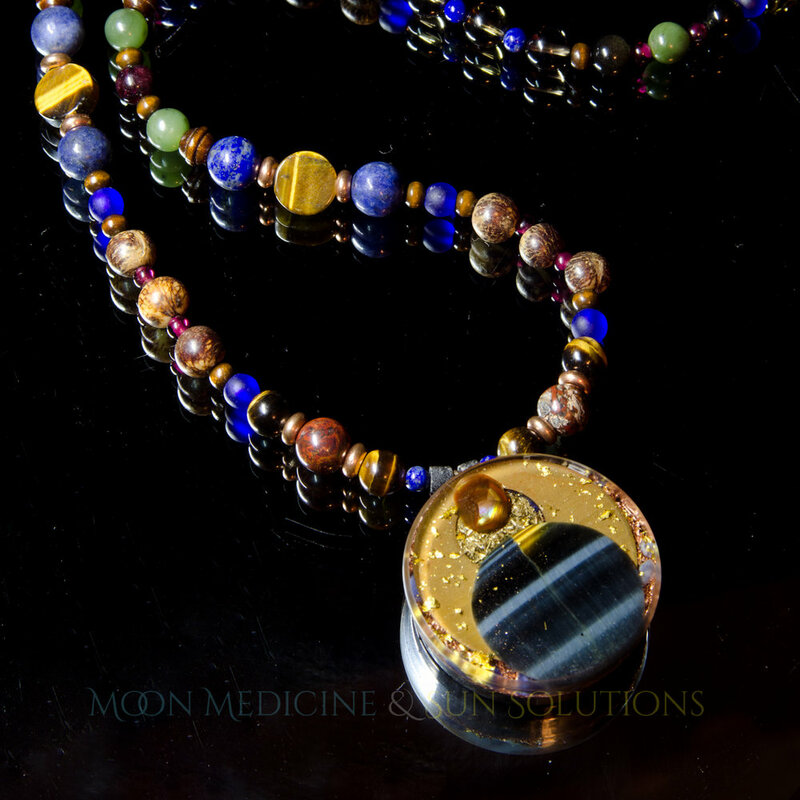 When creating custom Amulets, we consider tendencies of astrological influences that may be acting upon one’s physiological, mental and emotional being. Astrology is a natural science that helps us to innerstand celestial mechanics and highest principals of life. Within ones astrological chart lies the influences and tendencies that are presented to them as an opportunity to perfect their being in this lifetime. To know the planetary and zodiacal relationships in one’s chart is to be able to provide diagnosis and prescription of natural medicines. The prescriptions work to purify and enlighten the Microcosmic aspects within our being. 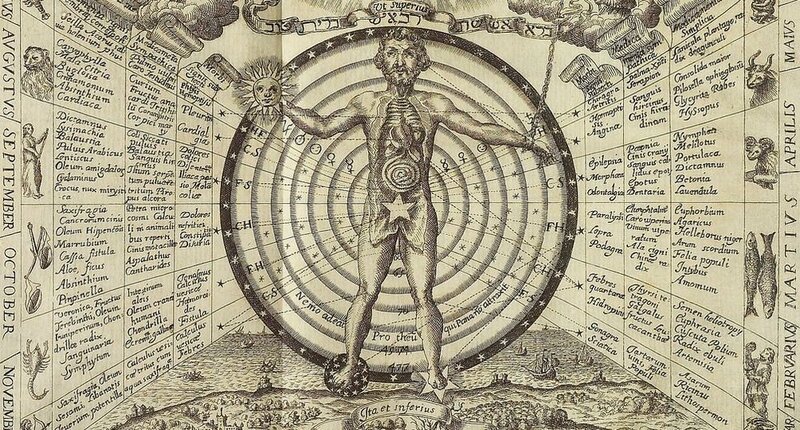 Medical Astrlogy guides us to see the correspondences of planetary or zodiacal influences in the natural Kingdoms. Custom made Amulets utilize natural materials to establish a field of bioenergy that correct imbalances marked by challenging alignments in ones chart. Drinking the tea of an herb that resonates with Mercury will assist in that force to be vitalized and strengthened internally. In the same way, an amulet will act as a personal talisman to maintain a frequency and signature of a pure and enlightened Mercury. A recipe of proper materials can be tailored to offset the challenges within ones chart. 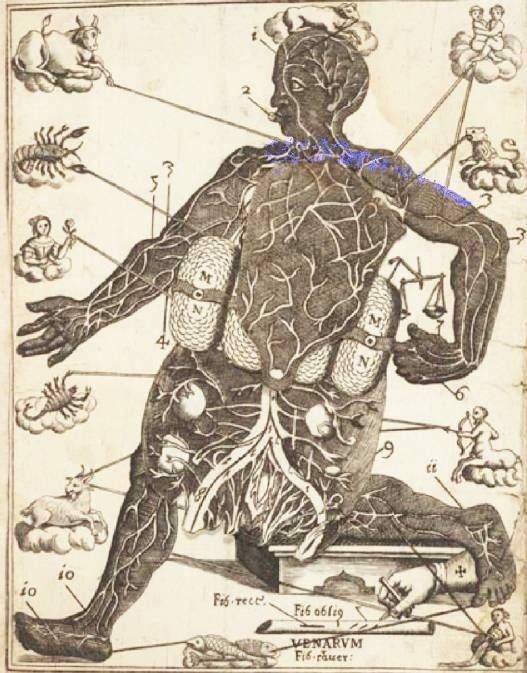 Each individual is embodying the macrocosmos in a myriad of ways, each experiencing life uniquely, with their own unique solutions and unique limitations to learn from. This is why it can be beneficial to have insight concerning one's planetary influences (tendencies), life circumstances (concepts, fears), mental state (habits, conditioning), emotional state (sensations, patterning), physical state (hindrances, perceptions) and spiritual state (distractions, identifications). Aligning one to their ultimate, True self is the goal of all spiritual work and the basis of the techniques & procedures used to create a Crystalis. We must innerstand that the only endeavor worth our diligence and care is that of the highest. Medical Astrology’s intention is to see the contributions of cosmic and mundane factors that are encouraging hindrances in one’s life. Realize that these influences are all embedded into our Journey, by the higher Us, to help us. Yantra, as figure and form, has long been utilized to establish an inner feeling, particularly those that resonate with high vibratory frequency. Mandalas, statues and tokens are some examples of images that have been created to relay to the viewer, an inner quality that is laying dormant within. Mantra is the verbal and tonal qualities with the same intent. Tantra contains the techniques of living to bring about inner feelings of our higher nature. Yantra, mantra and tantra are three modalities that align us with the higher nature of our self. To utilize the Yantric qualities of a Crystalis, concentrate & gaze into the shapes and forms and discover the innate qualities that are conjured up within. Amulets carry resonances of higher, more refined, qualities of being and can be used to help us remember those qualities within. May we all bring the Authentic version of ourselves into the external experience. Yantra works with the visual environment and overall aesthetic to encourage harmony with higher vibratory states. In our external life we decorate and arrange objects to cultivate our personal, Yantric tapestry. We consume not only through the mouths but through all our sensory organs. What we see through the eyes can nourish us and illuminate the mind or make us mentally discomforted. The highly sensitive human being is ultimately affected by the many external factors outside of itself. These factors can affect our internal workings and so should be cultivated to ensure our Yantra is working for us, not against us. So keep your room tidy; cleanliness is godliness! All physicality is the manifested form of invisible principals and forces. Just as all creation & action is derived from mind. This is the underlying principal to Medical Astrology as it relates to crystals; that minerals are as-below resonators to as-above cosmic forces. 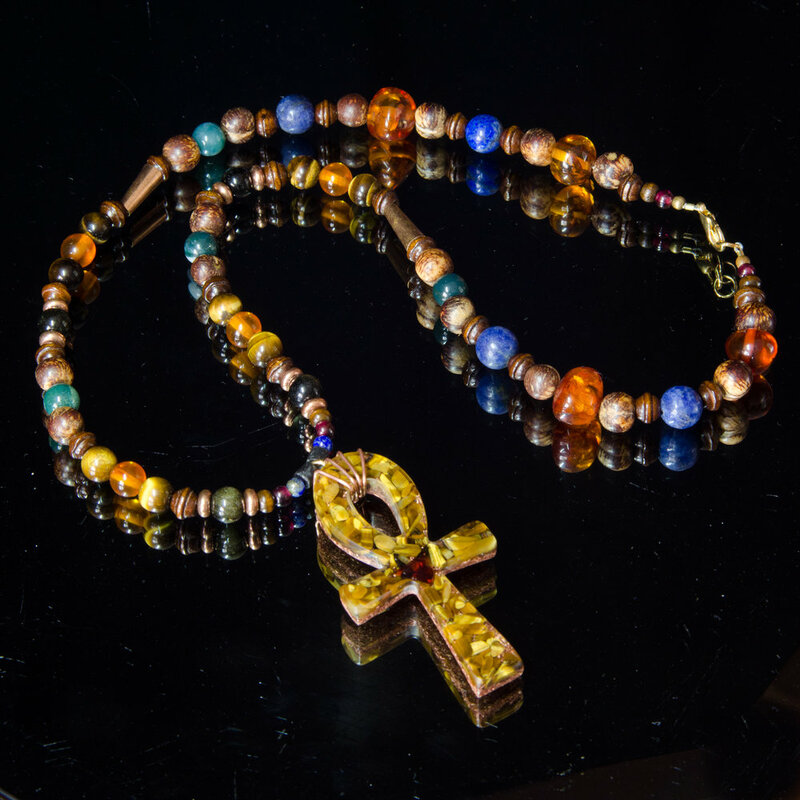 Synergy Gridding is the act of recognizing these qualities in individual stones and assembling synergetic relationships through geometric & subtle patterning. These patterns can enhance and add qualities to the local environment with the benefits of a Sacred Space. By creating a sacred space, the aura can dazzle & sparkle, one can implode inward & align their being to their highest potential. Crystalis Artworks utilize nature’s most precious & noble material of its yantric pallet; the Mineral Kingdom. Crystals and stones are master works of higher cosmic & earthly artists. Crystals, just as plants, animals and humans, are forms manifested by intelligent invisible forces that have their own tendencies, characteristics and qualities. To connect to the spirit of these Kingdoms, we can use the physical forms as a bridge to transcend the gap between the visible to the invisible. Through sensitive & intuitive connection to their form & color, feelings & attunements, we can identify the origins & qualities of natural materials. Crystals and other natural materials influence life force energies through positive (masculine), negative (feminine) or neutral (balanced) aspects or qualities. We can assemble a perfect marriage of qualities in these natural materials just as we can with people. As an arrangement, or grid, takes shape, the changes in energy quality can be felt as a synergy of characteristics is orchestrated. Within a Crystalis, a fresh, unique collective consciousness is unified from the individual aspects of the materials. When affinity and synergy is present in a relationship, the whole is greater than the sum of its parts. In natural relationships we must see that 1 + 1 does not always equal 2. 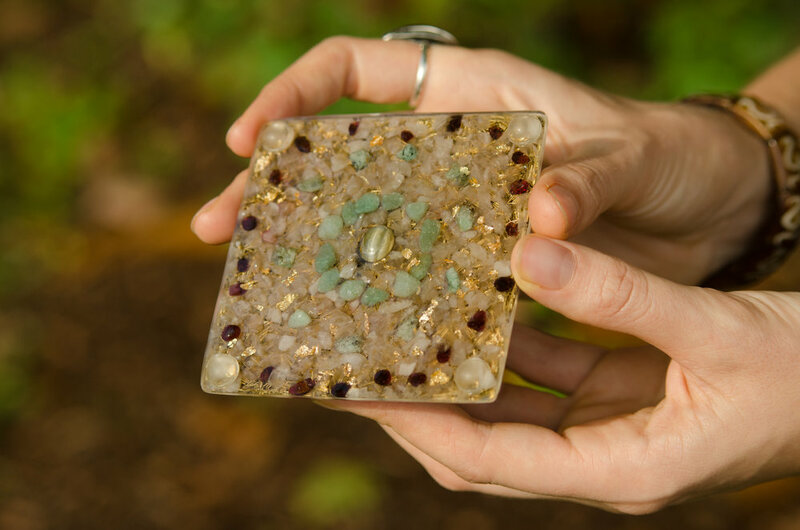 Orgone technology, or Orgonite, and Crystalis Amulets are a handcrafted matrix of metals, natural materials, precious stones and quartz crystals in a eco-resin, intended to neutralize Distorted & Polarized Bio-Energy and attract Positive Bio-Energy into the environment. Devices are molded into Pyramids, Spheres and other Sacred Geometric shapes. 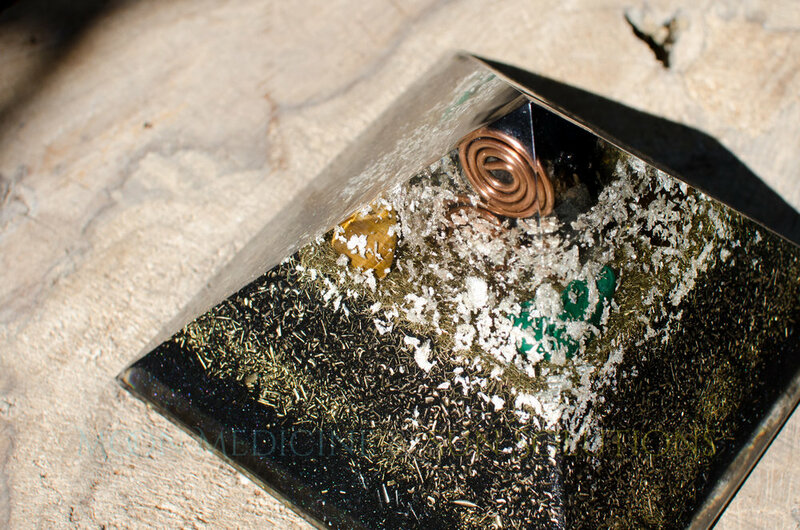 Orgone technology restore balance to energy, or allow an energy's natural & default state to be expressed. This is similar to effects when meditating, a realigning of one's 'way' of being to its default settings. It is also a generator of an expanding grid of positive bio-energy, allowing users to experience a pure, clear & balanced environment. In this way it is similar to the process of cleansing & clearing a space with palo santo or sage and then programming the space with mantra, song, reiki, etc. Simply, Sacred Space Generators are able to absorb distorted, imbalanced bio-energy, transmute it to a neutral state, reprogram the energy based on the materials & intentions implemented and, in doing so, create a grid/field of Positive Bio-Energy within its environment. 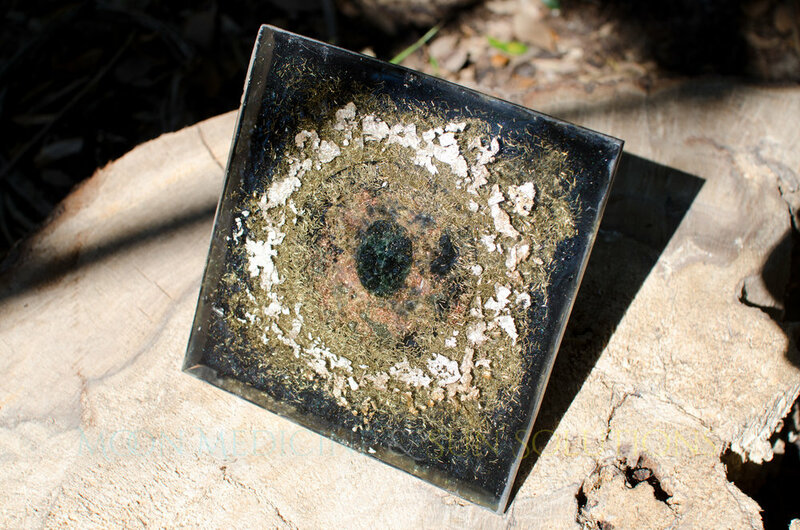 Just as plants and other medicinal supplements assist in areas where the human body is weak, Orgonite is capable of strengthening & cleansing the subtle fields of the human body. The aura is essential to shielding from outside energetic influences, proper grounding and connecting to higher cosmic vibrations. This tool & bioenergy cultivation is discussed in lengths on our About Orgonite webpage. Nature’s laws & blueprints are bridged from the actuality to the human innerstanding through symbols. Ancient languages that are more connected to the natural geometries recognized this. The ancient symbol of water (waved lines) is more relatable than a five letter word (W-A-T-E-R) that appears or feels less harmonious to the actually feeling or thing itself. Meditation on these more natural symbols will invoke a resonance to a higher understanding of nature’s mysteries. Symbols can be used to activate and reinforce the therapeutic action of crystals and other materials. 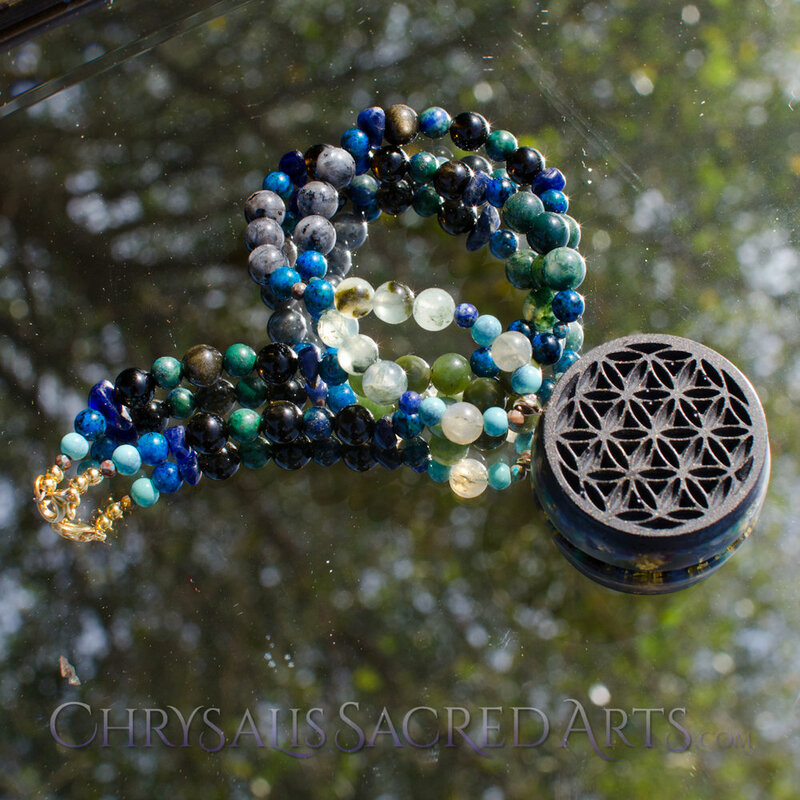 We use symbols that can discovered in Nature to further the ability of a Crystalis to resonate with higher vibrations. 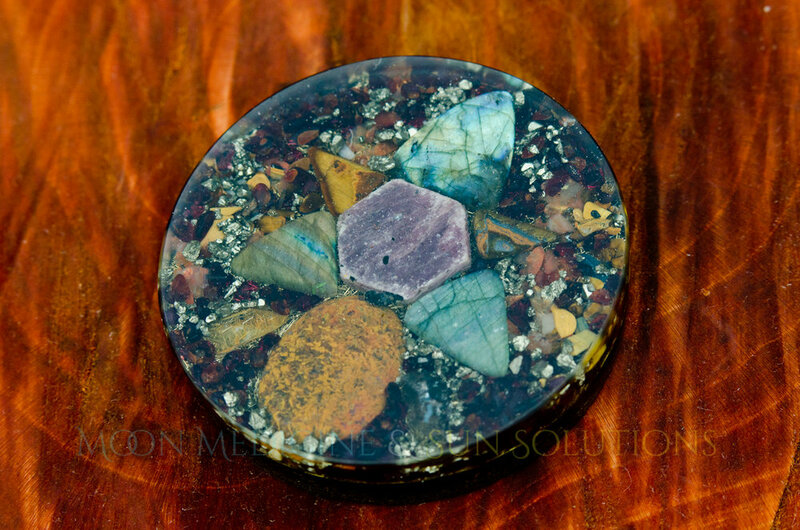 Our amulets are configured & sized appropriate to the Phi Ratio to allow for perfect embedding and use symbols with geometric tendencies that are conducive for healthy Bioenergy fields. Examples: tree of life (fractal patterning), seed of life, torus field (general core model), pentagram (phi ratios), sri yantra (third-eye patterning). Whether we know their hidden history, recognize their yantric suggestions or see the Truth with the spiritual eye, the use of emblems, tokens, talismans and symbols have been inverted in our modern culture as logos, branding, flags, insignias. Larger corporations innerstand the magic and uses of two dimensional symbolism and use this to their advantage. To be affiliated and recognized as owning a symbol, the “owner” can use it as a energy funnel. Ambassadors of the Earthly Kingdom are chosen for their quality, feel, purity, karmic acquisition. They are asked to participate in a cohesive relationship, suspended in a crystalline, solidified water made of quality ecological resin. To express the gratitude to all the energies that are required to create our works, we commune with the elements of the Earthly Kingdoms. In this way, we ask them to assist us in working for the highest good for all living beings. These seen & unseen forces are our ancestors. Human beings are the cosmic epitome and conglomerate of the Macrocosmos - the principalities; the planets and stars. We can honor them as family by realizing our role in the cosmos and their influence within our own being. Working with the correspondent materials that manifest in the natural world will assist us in refining and purifying these higher forces’ resonant qualities that reside within each of us. In right relationship with our Allies, we will learn to embody and express the super human that sleeps dormant within each of us! This is the Great Work with Great Allies. To smooth out the energetics and heal the human from deep within, we work cooperatively with these Kingdoms to formulate a synergistic blend of elements. This mix is a shiney black color and contains stones like Shungite, Black Tourmaline & Selenite. Reishi of the Fungi kingdom is included for nourishing our spiritual body. 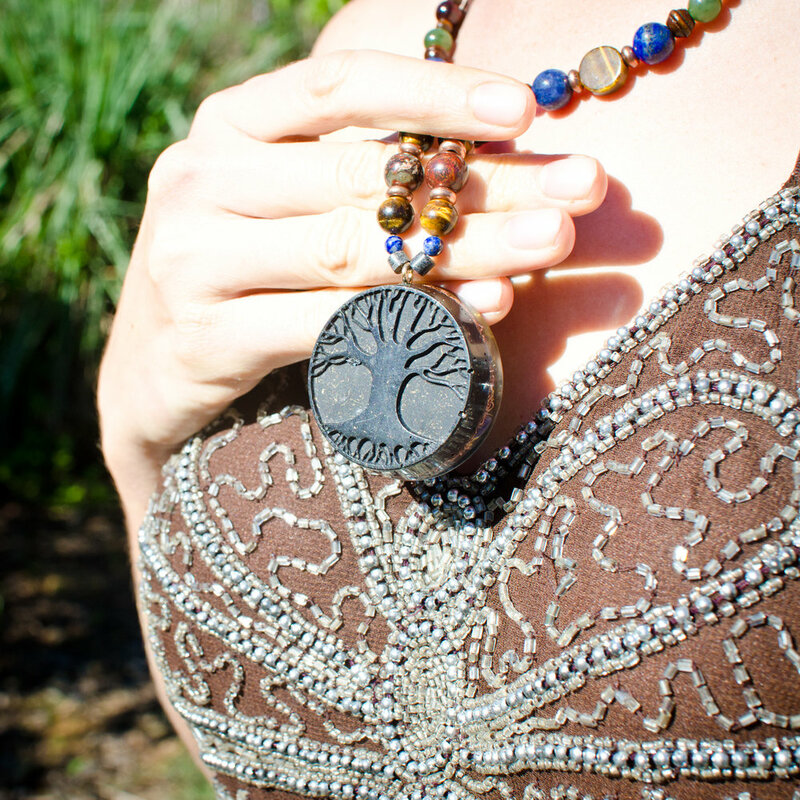 Acorn of the great Oak tree is there to embody the great unmoveable heart of love. These elements and more are contained in the mix to charge the auric field, establish a protective bioenergy field, and heal the resonators that are within. They are allies for a balanced journey to the higher vibratory states of living consciousness. When worn as an Amulet, we enter into an energetic relationship with all the kingdoms of this planet - we are harmonizing and communing. This is how the spirit is nourished. Healing can be done at an energetic level and we can allow that healing to trickle into our more dense bodies. The elements of the natural world want to cooperate in this mission one way or another. The ancestors are with us and grow with us. We are the stewards of this world and we alone will determine the fate of it. We have much to contribute and much to restore balance to. May we relax into it and enjoy the ride! This work is the outward and visible sign of inward and spiritual grace. As artists, we channel a feeling and calling for the work to be created. Our work is intended to assist in the transmutation process of the human consciousness. As such, we are delicate and caring during the entire creation process. We only provide work we test and feel to be effective and healing. May all have access to their medicine! Ceremony is the process of creating & establishing sacred space; a high vibrational field where it is more conducive to connect to one’s true nature & healing frequencies. This a process we go through every time we create our works. We harness the techniques of these cultures in our art forms to create tools that establish and attune a space to a resonance of sacredness. We are lovers of Truth, Beauty and Wisdom, as such our work is created to spread that message to restore Wholeness and Balance to the world! The process of creating Sacred Space is a careful one that requires one’s full awareness - to be present, responsible, honest. We are a beloved couple who walk the path of beauty and work in union, dedicated to our craft, projecting our love into the work to express our adoration for life! It is a ceremonial, meditative act, a place where we connect to our higher nature and present it as gifts for our community and back to the Earth. Over 7 years experience with various healing modalities and creating orgone generators. 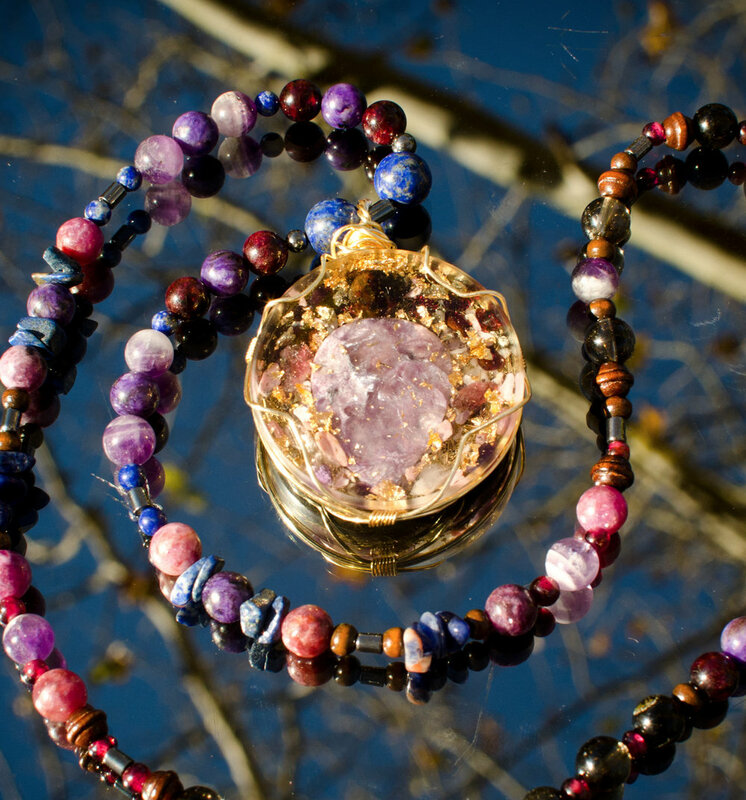 Combinations of crystals and metals have been tried & tested to ensure an effective synergy. All materials are ethically sourced and are of the highest quality. Amulets are configured appropriate to the Phi Ratio to allow for perfect embedding. Resin is non-toxic, plant based, 100% solid, waterproof & certified “Green”. It is more adaptable to the wearer over time and does not phase out as quickly as high shrink, industrial grade polyester resins. All works are unique and one-of-a-kind. Resin is an unforgiving medium; minor imperfections (bubbles, bumps) should be celebrated as marks of hand made craftsmanship. Tools like Amulets, Seals, Icons and talismans are useless without the proper protocol or energy management that would activate its utility for internal means. Just as any tool is useless without the proper know-how by which to use it. Energetic tools are most useful with tuned into with a undistractedand concentrative awareness (meditation and mindfulness). Therefore persistent practice can be directed towards developing a sensitivity and pure awareness to begin traversing these inner spaces. Meditate with concentration, not focus. This is about the scope of our awareness. Focus is narrow and can lead us to be blinded by desire or judgement to see a specific thing - it is hunting and reaching for what we want to see. Concentration is broad and is open to seeing all and nothing. Concentrate on the Amulet and feel all the vibratory resonances from the Amulet without making distinctions. Avoid expectations or desires to hear the truth that is spoken. Practice listening with an open heart. Center the awareness in a loving intent. Learn to recognize when you are speaking from the imbalances mind (sharp, dualistic) and when it is coherant witht the heart (soft, all encompassing). Subtle energies communicate through various means and we are more accessible to subtle energies communicating with us when we are open, non-dualistic and loving. Our imagination must be tamed by a sense of knowing, otherwise what we perceive to be communicating with may be a distortion of the Truth. Relics and items owned by saints, enlightened man or women, have little use to anyone who does understand the mechanics of the internal realm or the enegetic body and thus does not experience the effects within. Crystal allies are most functional and cooperative when actively worked with in intimate settings (like meditation or ceremony). It can be more conducive to introduce a few stones at a time and develop a rich connection. It can be very tempting to want to work with all the most powerful stones, working to manage all their qualities and characteristics. However, it is wise to have a few best friends then to be a social butterfly with no supportive allies when you really need them. We are in gratitude for your friendship!